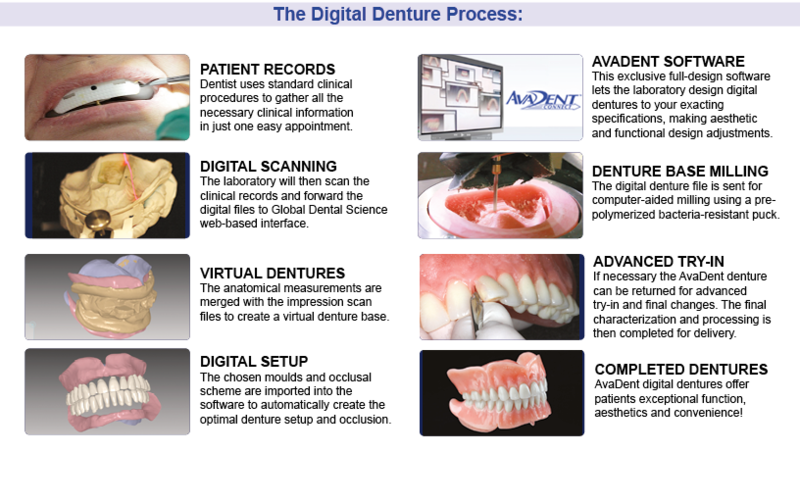 AvaDent has revolutionized the concept of edentulous, full-mouth rehabilitation! A breakthrough in Computer Aided Engineering brings the precision, speed and profitability of process automation to removable prosthetic dentistry. The entire AVADENT denture base and teeth are milled from a Full-contour Bacteria-resistant Polychromatic PMMA material for greater strength and aesthetics.